a special Green Baseball Game! 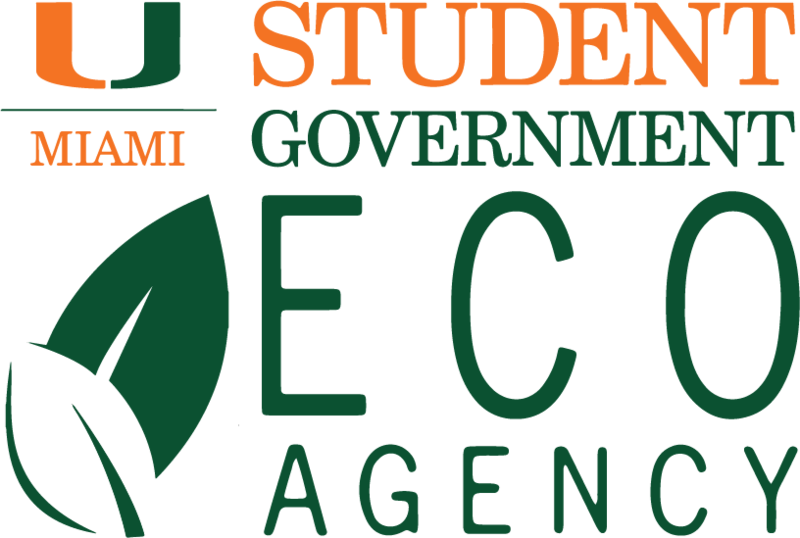 Our Green U Team will be there, along with our partners, Adidas-Parley, Coca-Cola, Miami Dade County Water and Sewer Department and Debris Free Ocean with giveaways and information about water conservation and ocean plastic pollution. As a fan, you will have a chance to WIN a PAIR of ADIDAS - PARLEY Shoes by texting our Take back the Tap pledge. We want to learn from the professional world on how to make collegiate sports socially, economically, and environmentally sustainable. From energy/water conservation, fans engagement, waste diversion or eco-friendly apparels, sustainability is a win-win for collegiate sports stakeholders. "Marlins Park was designed with many aspects of sustainability in mind. From the energy-efficient lighting, heating and cooling systems, to water use reductions, Marlins Park is the most sustainable facility in Major League Baseball. It is the first professional sports facility in the world with a retractable roof to earn LEED Gold Certification from the U.S. Green Building Council." 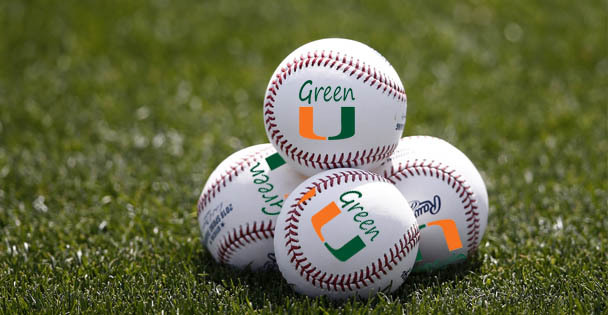 In 2014, the Florida Department of Environmental Protection recognizes the Miami Marlins organization for its impressive 51% recycling rate. Nearly twenty years ago, Dave became the Florida Gators’ first Sustainability Director and piloted green sports efforts in The Swamp and created the nation’s first corporate sponsorship of an in-game sustainability activation in 2002. After moving to Colorado in 2006 to become Director of the University of Colorado Boulder Environmental Center, the Buffalos became the nation’s first NCAA Div.1 athletics program with a comprehensive sustainability program, with zero-waste, zero-carbon, zero-pesticides, zero-net energy facilities, 2MW of installed solar PV, and a car-free/zero-waste tailgate, among other efforts. 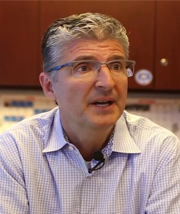 Likewise, partnering with Learfield, Dave has helped enable ~$5-million of CU Boulder sports sustainability partnerships with brands such as BASF, Pepsi, Wells Fargo, WhiteWave Foods, Eco-Products, Solaroo, Google, The Pantry, UPS, Ball Corporation, and Unifi, among others. He is currently a member of the Green Sports Alliance Board of Directors Executive Committee. A former Florida citizen for 35 years, Dave’s career in the Sunshine State includes founding and leading an award-winning for-profit print periodical publishing house, Florida Environments Publishing Inc, for nearly 15 years. Dave also served as Chair of the Alachua County Commission, in Gainesville. 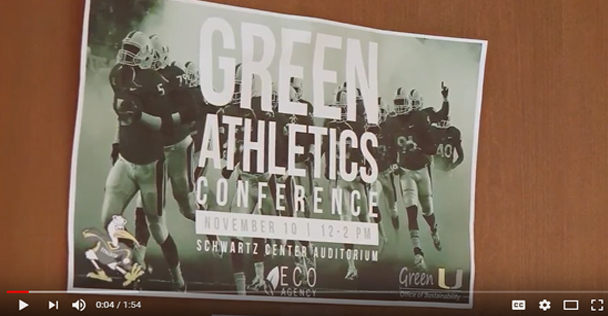 Great news: our Football team goes green! 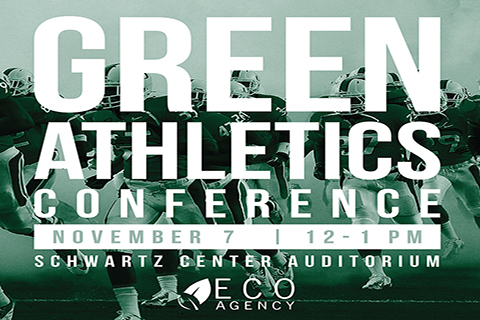 This conference will give South Florida sport professionals, collegiate sport administrators, students and athletes an opportunity to network and learn. Who says sustainability and Sports are not compatible? "The Alliance inspires professional sports leagues, college conferences, sports governing bodies, colleges, teams, venues, their partners and millions of fans to embrace renewable energy, healthy food, recycling, water efficiency, safer chemicals and other environmentally preferable practices." 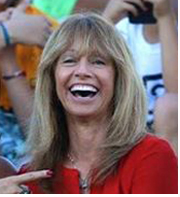 Linda Gancitano, an educator of 27 years, teaches at Driftwood Middle School in Broward County,Florida. 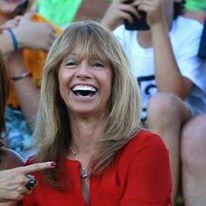 Linda was a member of the first-ever U.S. Women’s National Soccer Team, was recognized by the White House for being a Champion of Change for Climate Education and Literacy, EPA Faces of Climate Change, Florida Green School Teacher of the Year, District P3 Eco-Teacher of the Year and SHAPE Florida Teacher of the Year. 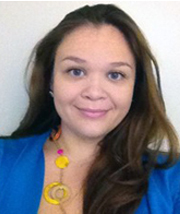 Ms.Gancitano’s major initiative for climate change education has been through her creation of the How Low Can You Go Challenge (Zero Energy) for k-12 schools across the country and partnership with the Miami Heat. Ms. Gancitano’s latest environmental initiative is co-founding the Climate and Sports Student Summits. Linda has extensive training under Al Gore for the Climate Reality Leadership Training. Jackie Ventura joined The Heat Group at the AmericanAirlines Arena in 2001. In her current role, Jackie monitors and tracks all aspects of the day-to-day operations of the facility including utility forecasting/tracking, labor distribution, CMMS administration, and projects and reconciles a multi-million dollar operating budget. In 2008, Jackie evaluated the NBA league-wide suggestions for viable sustainability initiatives for the AA Arena and determined that the facility would satisfy all of the requirements for LEED Existing Building: Operations and Maintenance certification. Given her history and role in the department, Jackie was able to easily manage and administer the LEED certification completely in-house and within six months from project registration to certification award only employing the assistance of key staff members and vendors as needed. This earned the Arena the distinction of being the first NBA facility to earn LEED certification in April 2009. In 2014, Jackie once again led the recertification efforts, improving the building to LEED Gold but also making the AA Arena the first sports and entertainment facility in the world to achieve LEED re-certification. Currently, Jackie reviews, recommends, and implements sustainability efforts for the facility, formalizes sustainability policies, and engages the public on the AA Arena’s efforts. She also serves on the Board of Directors of the Green Sports Alliance and the Resiliency Task Force for the Downtown Development Authority (DDA). 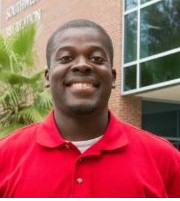 Oppong is the Sustainability Coordinator for the University Athletic Association at the University of Florida. He assists with the event management for a number of varsity sport programs as well as other major events hosted in the Florida Gators athletics facilities. His main focus is developing sustainability projects; educating the UF community about environmental, social, and economic sustainability efforts; and assessing the impact and outcomes of these initiatives. Oppong plays an integral part in the execution of campus-wide sustainability goals of the athletic department. Prior to working with the UF Athletic Association, Oppong worked for the Office of Sustainability and Department of Recreational Sports at UF. He also currently serves on the sustainability community of practice committee for the National Intramural Recreation Sports Association.